VARIAXIS i-300 AWC simultaneous 5-axis Vertical Machining Center with Auto Work Changer (AWC). 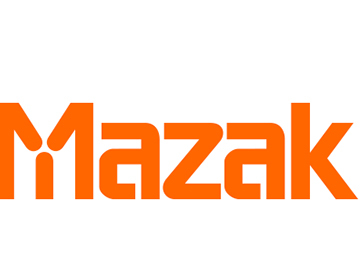 Attendees will see demonstrations of Mazak’s comprehensive suite of digital SMOOTH TECHNOLOGY solutions and network connectivity options that make remote monitoring simple for advanced productivity and production efficiency. SMOOTH TECHNOLOGY adds digital manufacturing functionality with support for the MTConnect® open-source, royalty-free manufacturing protocol that enables data collection from the CNC on any machine with an MTConnect adapter. To help area manufacturers find answers to their skilled-labor shortages, representatives from local schools and technical colleges will be present to connect their machining graduates with employment opportunities and to offer internships, co-ops and other programs that can place trainees in the workplace. Additionally, during the Student Day of the event, approximately 200 young people will have a chance to see machine demonstrations and learn more about the job security and ample compensation of today’s high-tech manufacturing careers. Click HERE for a complete list of machine tools running live demonstrations and to register for the Discover More with Mazak Northeast Event.